In case you havent noticed, this is it. This is Oklahoma Gazettes Best of OKC issue, filled with the winners of 124 categories that were voted on by you, our readers. Its the biggest Best of OKC awards program we can remember, with dozens of added categories and more than half a million votes. 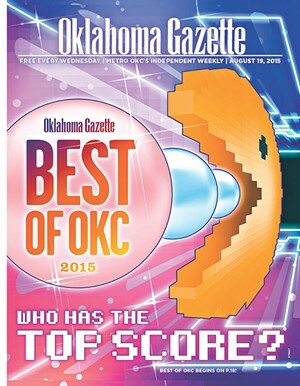 Best of OKC 2015 Winners can be found only in the Oklahoma Gazette print issue on stands August 19  August 25. To be among the first to know the latest in arts, entertainment and news, pick up your copy at any of our over 800 locations throughout the metro. To find the location nearest you, click here.